Ratzer handles high-asset, high-income complex family and domestic relations cases. This year, he has been to trial and mediation representing business owners and spouses litigating property division and earnings available for support issues. If needed, Ratzer retains experts to assist in these cases. Ratzer also handles contested child custody cases. We are currently set for trial on multiple move away cases. Ratzer and his staff work to obtain results that are in the best interest of his clients and their children. Ratzer graduated from law school in May 1990. After law school, Ratzer embarked on a 10-year career in commercial litigation. Through this work he gained experience litigating all aspects of multimillion dollar lawsuits. His complex discovery and trial experience from these cases gives him a definite advantage against most other family law attorneys. In the late '90s, Ratzer added the title of licensed securities and insurance broker to his resume. Practicing family law exclusively since 2003, Ratzer has been a Certified Legal Specialist – Family Law, through the California State Bar Board of Legal Specialization since 2008. Ratzer is active in the family law community in San Diego County. He currently serves as the Chairman of the North County Bar Association Certified Family Law Specialists organization and he is a current member of the Executive Committee of the San Diego County Bar Association Certified Family Law Specialists Committee. 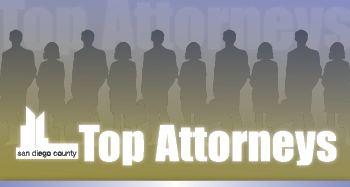 Ratzer was named a “Top Attorney” in San Diego by San Diego Magazine for 2013. Ratzer holds an “AV” Preeminent rating, the highest available, through the world’s largest attorney rating service, Martindale- Hubbell.